Earlier today, during a press conference at the White House with Lebanese Prime Minister, Saad Hariri, Donald Trump was asked several questions regarding Attorney General Jeff Sessions. One of these exchanges is included below, followed by an analysis of a particular nonverbal tell. JOURNALIST (beginning at 0:00): "You spoke earlier today to the Wall Street Journal, we've all seen those comments, but I think everybody here probably is hoping, ah, that you could talk a little more about this. Ah, you have called your Attorney General, 'Beleaguered', you've criticized his decision to recuse himself on the Russia matters, ah - and, you're kind of catch phrase or motto before the White House was, 'You're fired', so, I'm wondering if you would talk to us a little bit about whether you've lost confidence in Jeff Sessions, w-whether you want him to resign on his own, ahum, whether you're prepared to fire him if he doesn't - and, and, why you're sorta letting him twist in the wind, rather than just making the call for him?" DONALD TRUMP: "Well, I don't think I am doing that. But I am disappointed - in the Attorney General. Ah, he should not have recused himself, almost immediately after he took office, and if was going to recuse himself, he should have told me prior to taking office, and I would have quite simply picked somebody else. Ah, so I think that's a bad thing, not for the President, but for the Presidency. I think it's unfair to the Presidency. And, ah, that's the way I feel. Thank you." 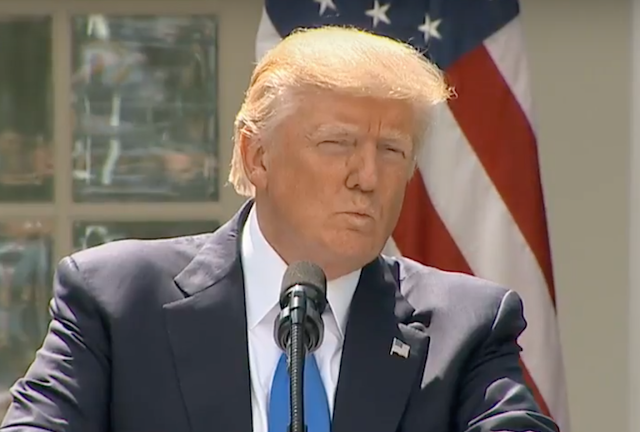 Note that as the journalist says, "... you want him to resign on his own, ahum ..." (during 0:28 - 0:31), Donald Trump configures his lips in what is known as a "Forward Lip Purse" (be careful to not confuse this with a "Lateral Lip Purse"). A Forward Lip Purse is an extremely valuable nonverbal signal indicating a Clandestine Plan and/or a Clandestine Disagreement. This is a particularly fantastic example of this facial expression, for President Trump is very much not telling the public (and very probably his staff) whether he plans to fire Attorney General Sessions or is trying to force him to resign (or maybe another alternative). Fascinatingly, the forward lip purse is only made by a person who perceives himself to be a relative alpha within the context of the interaction (e.g., in this example, Donald Trump is the alpha to relative Sessions', the journalist's - and the American public's relative beta status). Moreover, when the forward lip purse is made, those who display it believe their plan of action has a high probability of success.